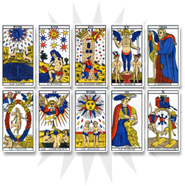 In cartomancy, the ace of clubs represents the strongest club card and symbolizes the occult power of this color. The ace of clubs relates to a state of well-being and peace of mind. 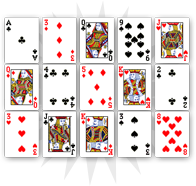 The ace of clubs announces great spiritual satisfaction and a period of prosperity. 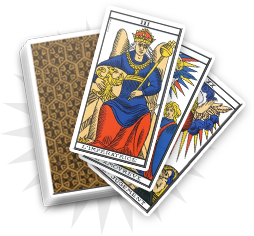 It is a very good omen in every sphere of the consultant’s life, and brings down the negative power of the spades. You can look on the bright side, as the ace of clubs announces serenity through the success of your projects. You should soon learn some good news that will bring joy and comfort. Your future is bright: the cards are with you. 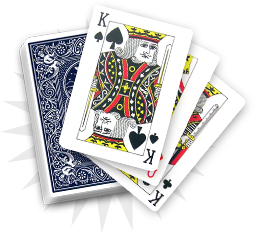 The ace of clubs indicates that one of your relatives is about to learn very good news that will bring happiness and comfort. It could be the announcement of a birth or a marriage, or the meeting of the loved-one. The ace of clubs shows balance, serenity and well-being and overcomes the negative aspects of the other cards from the reading.